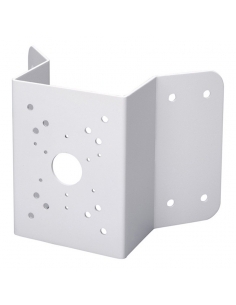 Compact Aluminium right angle wall mount bracket. 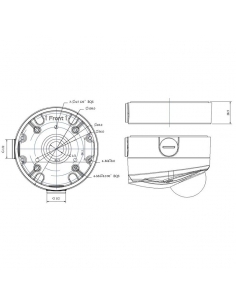 Design for indoor use only. 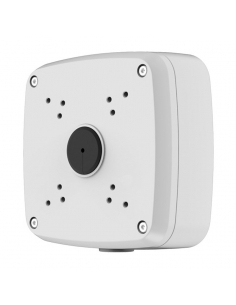 This bracket is used to install the camera directly to the wall. 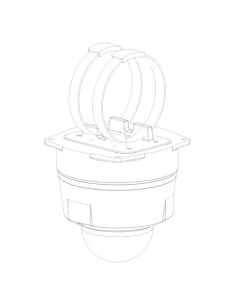 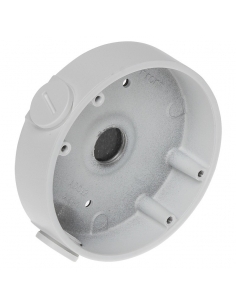 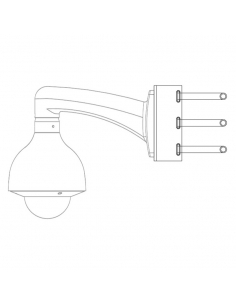 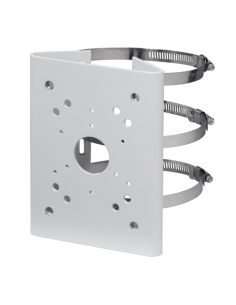 Heavy duty coated SECC wall mount corner bracket for surveillance cameras. 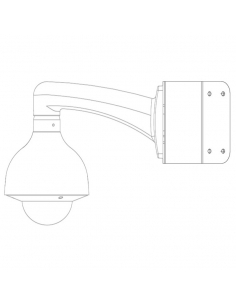 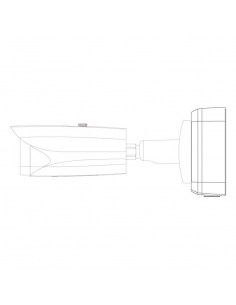 Heavy duty coated SECC pole mount bracket for large surveillance cameras with three clamps.